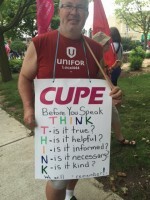 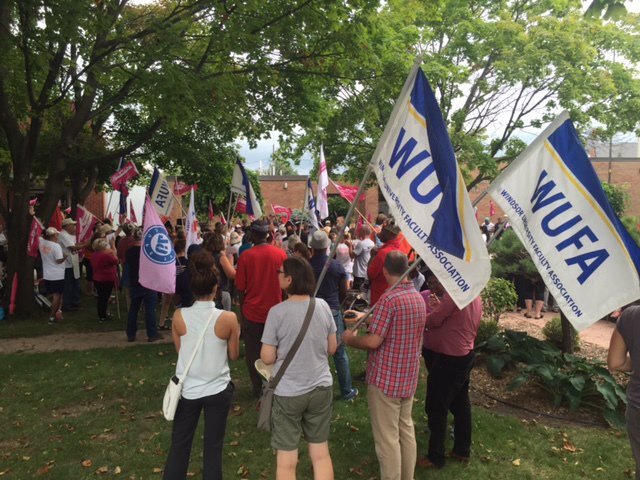 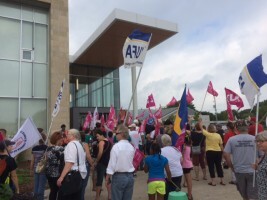 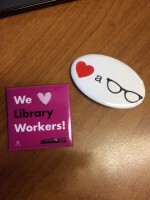 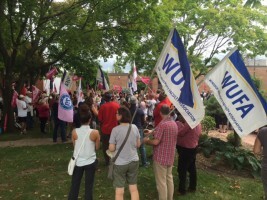 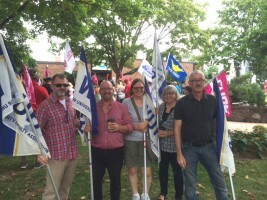 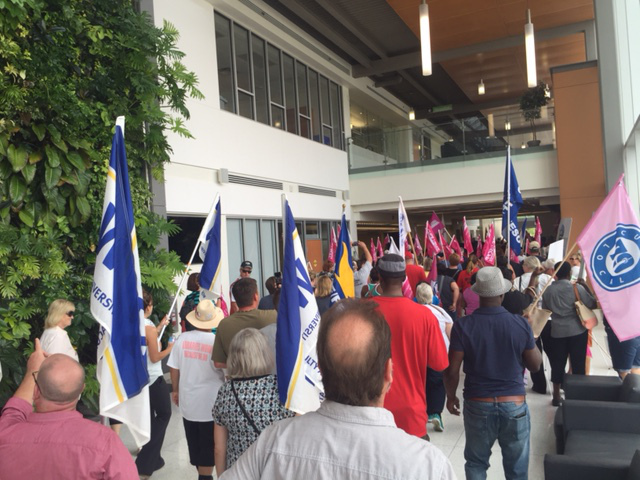 A solidarity rally was held in Leamington on August 31, 2016 in support of the Essex Library workers, who are now on their 68th day of strike action. There was a great turnout and WUFA was there to picket, drop off food donations, stand strong and march with the supporting unions. 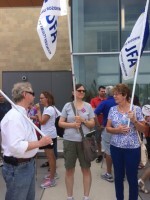 Thanks to everyone who made it out today, and thanks to the many WUFA members who dropped off food and cash donations at the Kerr House leading up to the rally.